The video below shows SDO’s 2010 take-off via an Atlas V rocket. 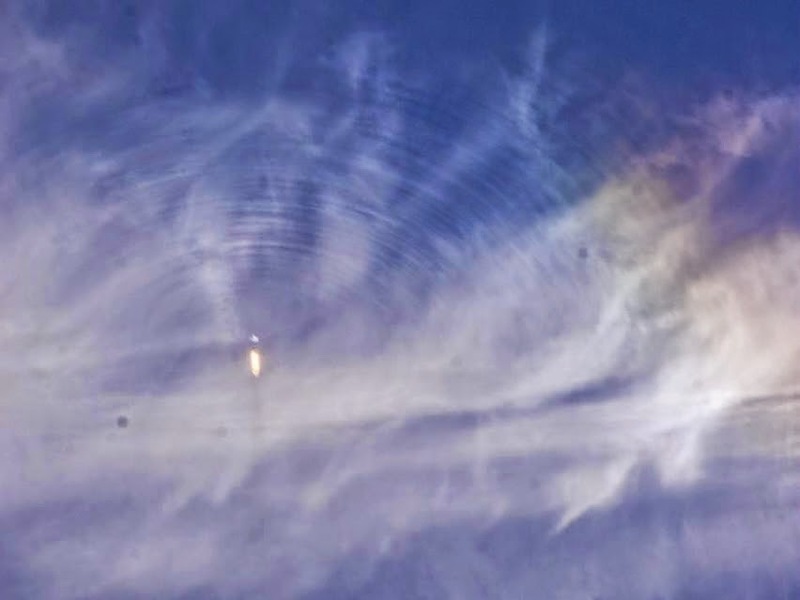 Watch it now, and turn up the volume to catch people joyfulness when the spacecraft’s passage over the atmosphere smashed the sundog, which is a bright spot in the sky, shaped by bending of sunlight through plate-shaped ice crystals, which drift down from the sky like leaves fluttering from trees. If you have to, watch it two times to see the glowing column of white light that seems next to the Atlas V.